Today was Day #8 of Crunchy Chocolate Theme Week. I've extended this theme week by a few days, as I found several chocolate items with a crunch component. 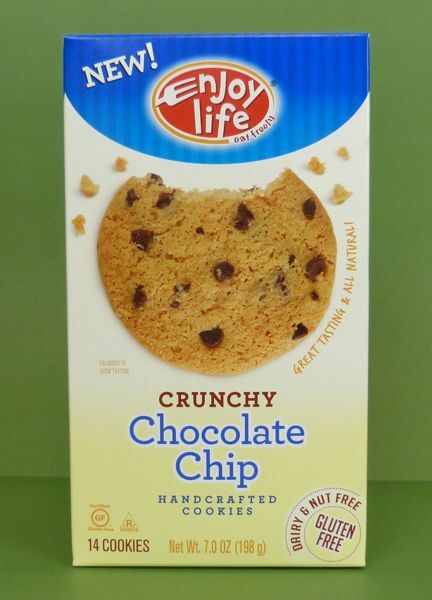 These gluten-free (and nut and dairy free) Crunchy Chocolate Chip Cookies from Enjoy Life (Schiller Park, IL) were, as labeled, crunchy; and they were fairly light, with a generous smattering of chocolate chips. 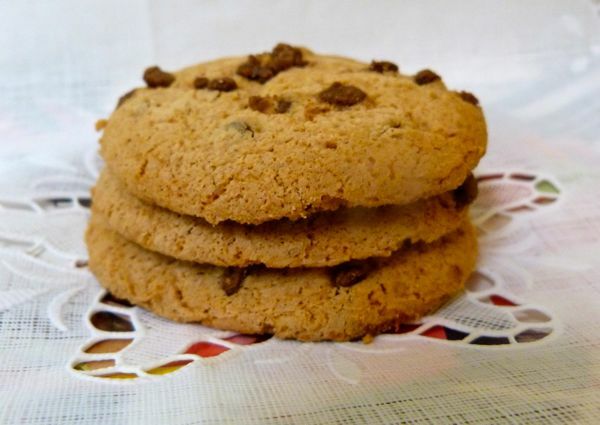 These might also make good ice cream sandwich cookies -- perhaps with a vanilla gelato center.